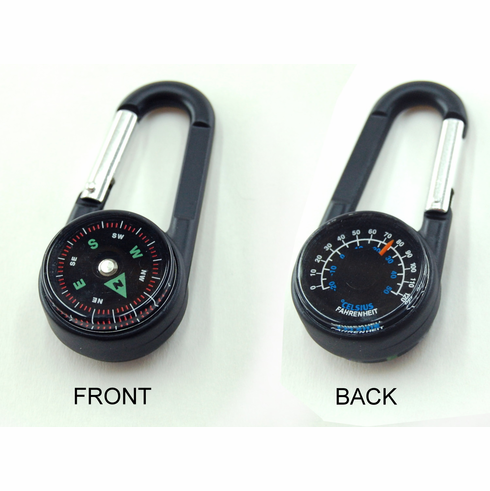 This simple carabiner compass is both sturdy and incredibly useful. One one side is a rotating compass card, and the other has an analog thermometer with both a F and C scale. This sturdy metal compass is bronze in color, which creates a nice contrast to the black circular compass and thermometer on either side. Note: this is not (2) pieces. The photographs are just showing the front and back of the same piece.